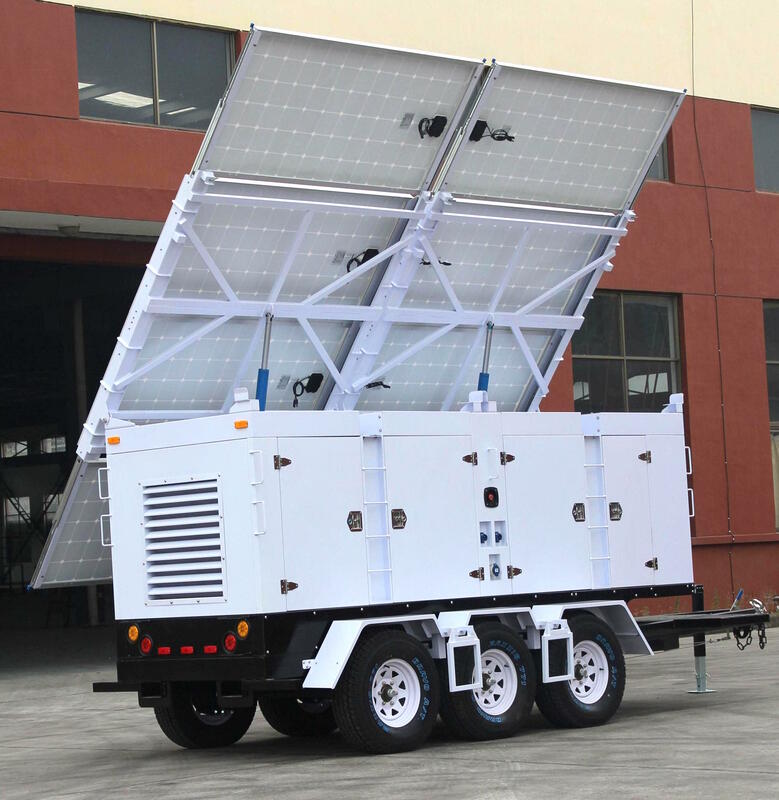 Mobile Disaster Trailer , Mobile Disaster Trailer solar, Solar Trailers Estimated Daily Output: 34Kw 120VAC 60Hz. *. Used Through Out The United States and World wide by FEMA Federal Emergency Management Agency, DHS Department of Homeland Security, Disaster Recovery Efforts, Red Cross Disaster Relief, Disaster Preparedness & Recovery. 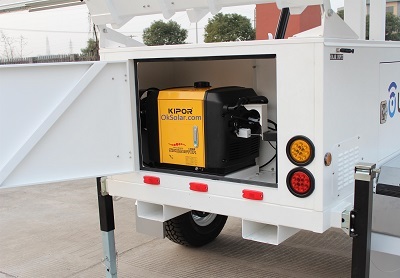 Optional units: system it’s designed to connect the following: Fuel Cells, Wind Generators. 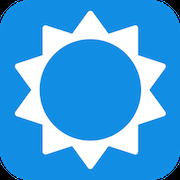 * Estimated Daily Output: Designed Full Sun, Zone 5+ Hours of daily sun. 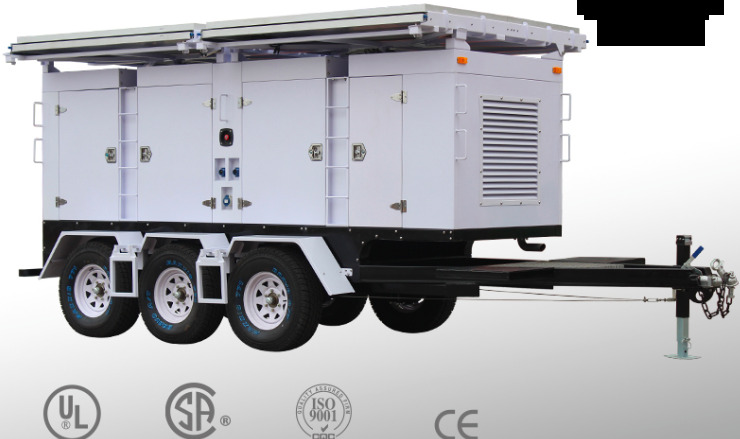 TMSPDC® Transportable Modular Power Storage. Characteristics: Transportable; Simple; Rugged; Military Grade. Systems Designed to survive harsh environments. Emergency efforts are often hampered by the lack of electricity. Our TMSPDC® units are designed to fill the gap until power is restored, or Continue stationary. 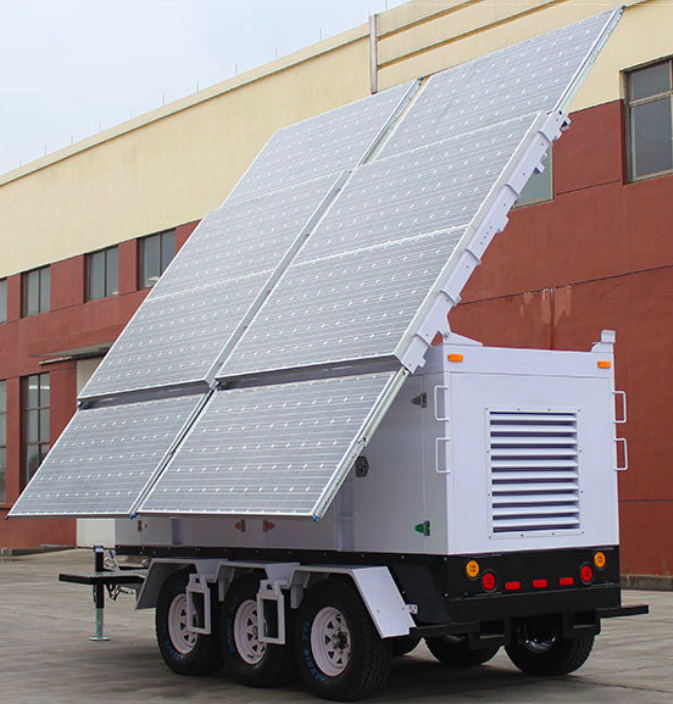 They can provide refrigeration for medical supplies, water filtration systems can be made operational, and communication equipment can be powered to help in the recovery process. 2. Switch ON the power unit. 3. Switch ON the lift arms to get to the desired angle of orientation. 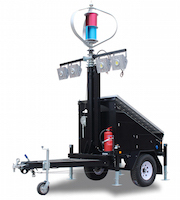 Smallest foot for maximal energy harvest, storage and production. Solar modules are fully encapsulated to resist harsh weather conditions. Gel Deep Cycle, Valve-Regulated, Gelled-Electrolyte heavy duty batteries. Stainless steel fasteners & aluminum racking. Active and Passive ventilation of the unit. 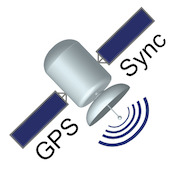 Fully deployable in 5 minutes, one person. 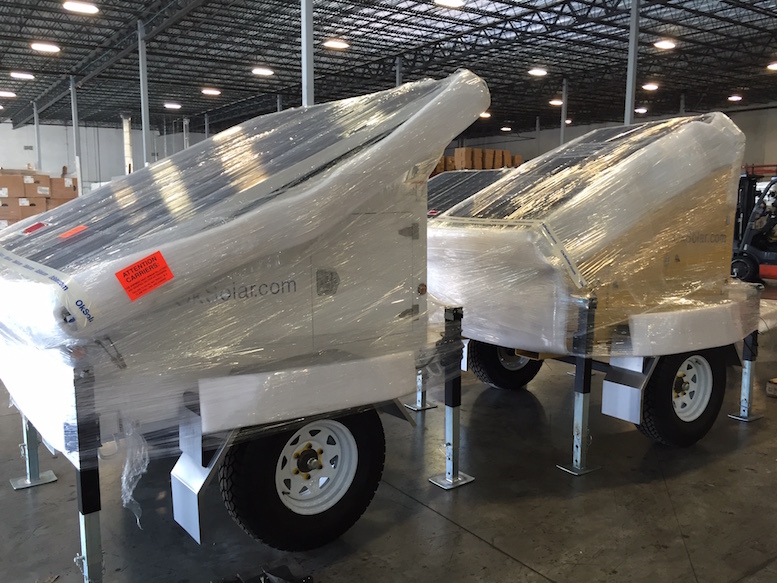 Exclusive array design protect panel while in transit. External Outlets: Weatherproof Covers and Plates. 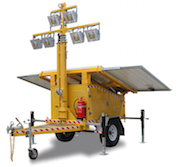 Optional Heavy Duty Lifting Hooks Helicopter transportable. Each TMSPDC Power unit system is a complete power conversion system that includes a DC to AC inverter, battery charger, and AC transfer switch. Expandable design for additional TMSPDC® Power units can be added at any time either in parallel (120 VAC), series (120/240 VAC), or three-phase (120Y208 VAC) configurations, allowing the system to be tailored to the specific application. 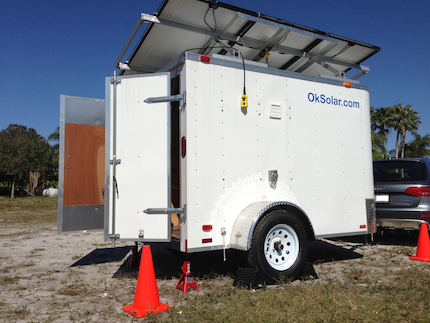 Systems configurations: Can be in the form of Utility Trailer, Modular Containers, Modular Offices. 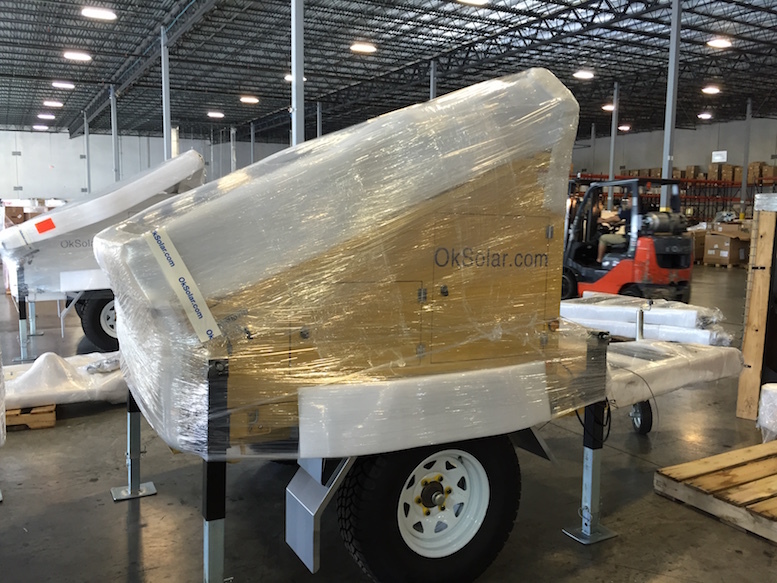 The IQUPS® Backup Electric Systems are fully integrated and automated power packages. 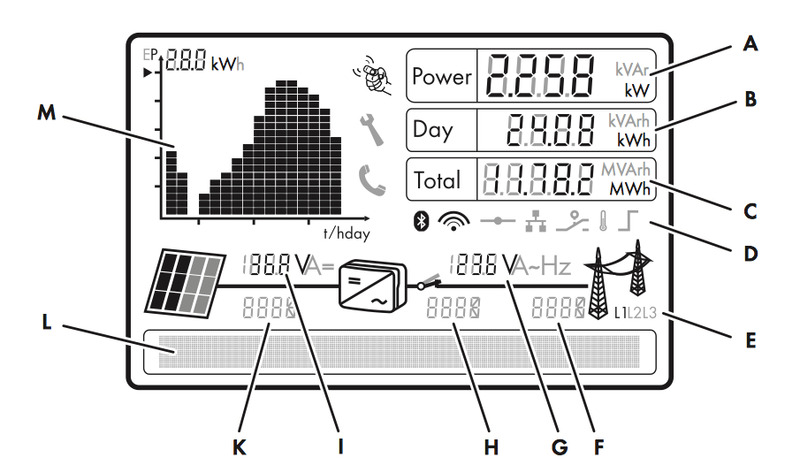 Photovoltaic (“PV”) Panels High-efficiency, Solar modules provide higher amp-hour per watt output than other technologies and include dual bypass diode protection. 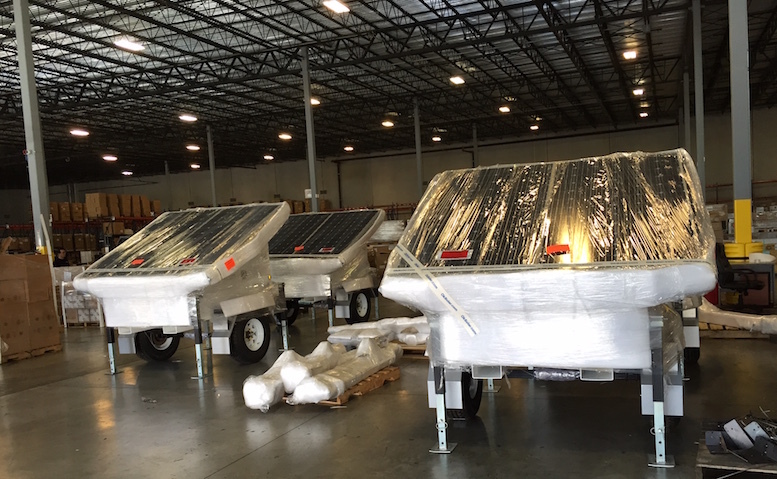 Modular PV panels permit expansion to accommodate increased loads. 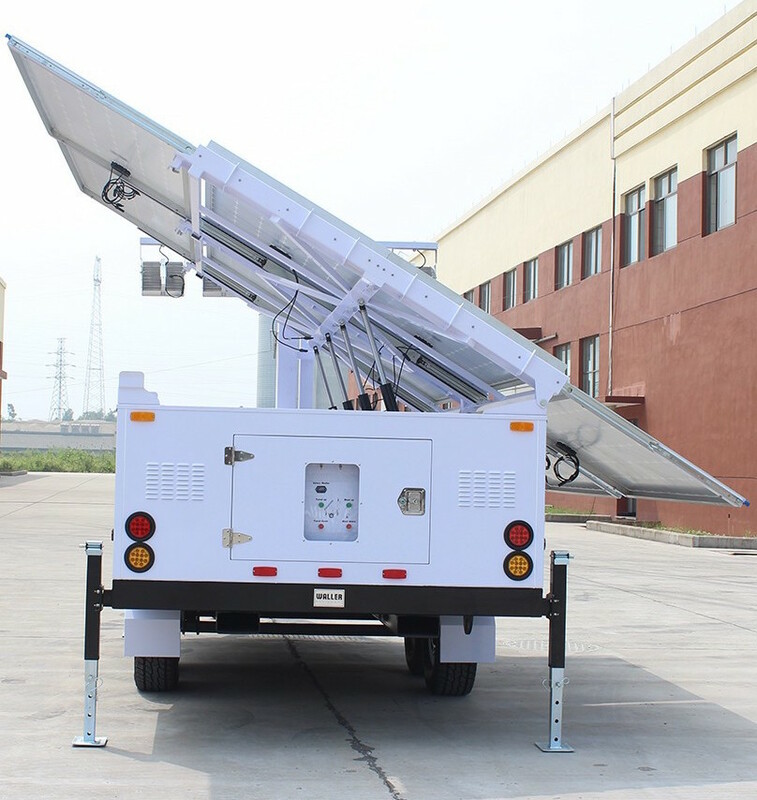 Adjustable Array Structure PV array tilt is easily adjustable to maximize solar energy. Control Center The control enclosure is a NEMA 3R powder-coated steel box housing the power distribution components (DC controller/distribution, inverter and AC distribution), disconnects, system monitor and appropriate wire terminals. Enclosure is provided with rainproof vents and a ground fault protected electrical outlet. 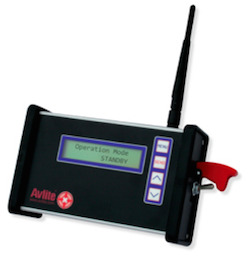 Optional remote monitoring equipment is available. Inverter/Battery Charger microprocessor-controlled, high-efficiency sine wave inverter with three-stage, temperature-compensated battery charger. Peak conversion efficiency of 96%, protection circuitry, LCD display with user and setup menus. DC Controller Solid state, low frequency, pulse-width modulated solar charge control with battery temperature compensation and automatic night time disconnect. Customer DC interface conforms to U.S. National Electric Code and provides easy access and flexibility for multiple DC load requirements. AC Distribution Panel Output AC breaker panel conforms to U.S. National Electric Code, provides surge protection and flexibility for multiple AC load requirements. DC Combiner Box Provides PV circuit disconnects and lightning/surge protection for electronic equipment. Batteries Sealed battery available for maintenance-free performance. The control system maintains the batteries between 20% and 100% state of charge. Solar generator will work at night or if it's cloudy? 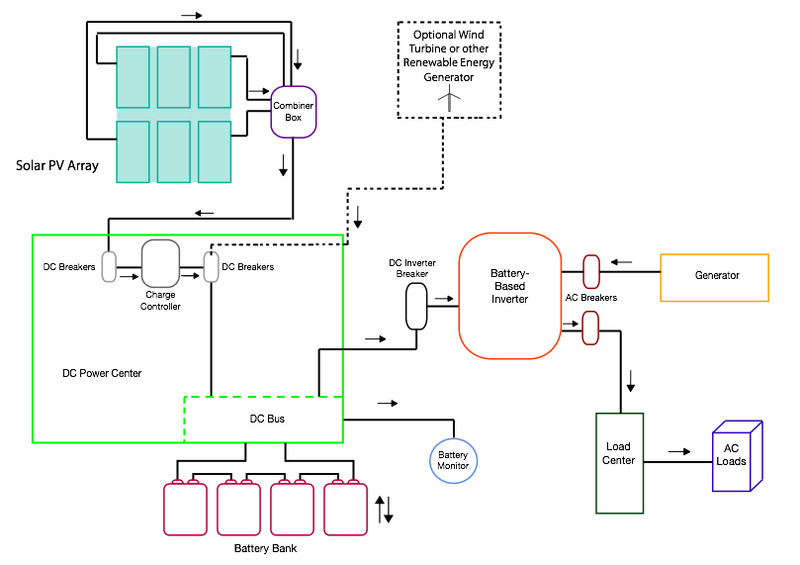 Yes, a large deep-cycle, solar batteries are integrated into the unit store energy for days, and sometimes weeks, of usage. 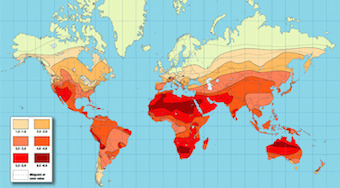 How long will the TMSPDC® solar generator supply power without sun? 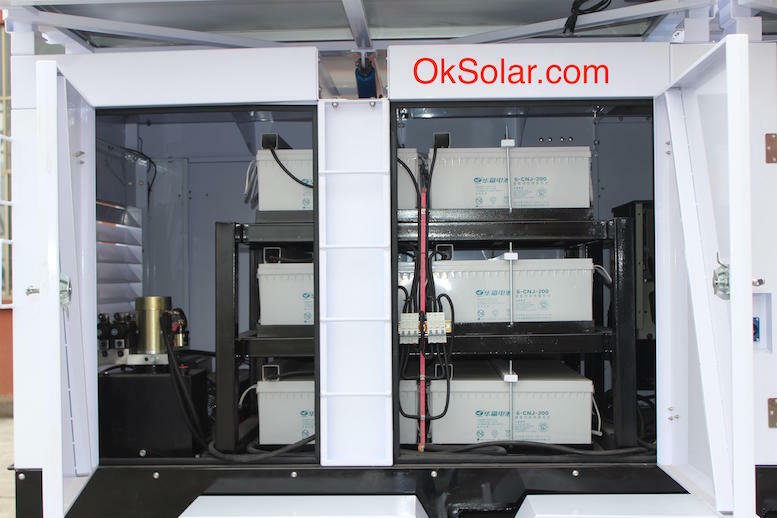 This depends on how much power you draw from the system, the size of the battery bank and how low you want your batteries to get before the inverter shuts off or tells a generator fuel Cells to automatically start and bring the batteries back up to 100% capacity. 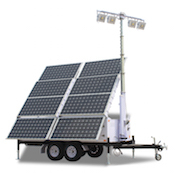 Not permit or license needed for a TMSPDC® solar generator? 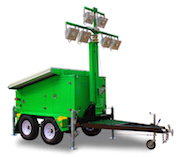 Because the unit is mobile there are no city or state permits required. This means no fees, no inspectors or bureaucratic. The panels should be cleaned regularly. Just spray them with a hose and squeegee off the water. Gel Batteries are maintenance Free! Panels are for 20 to 25 years. You can expect 30-40 years of productivity. 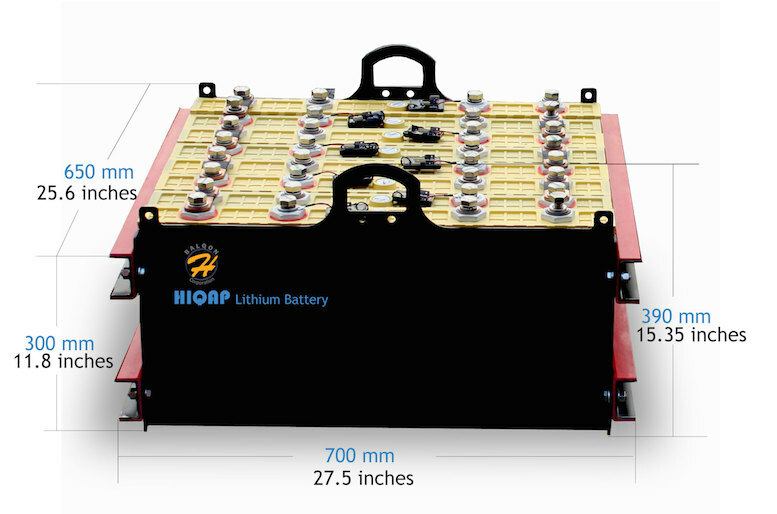 Batteries between 7 and 10 years - depending on model. With proper care you can expect 10 years. -Inverters and Electronics 3-5 years. 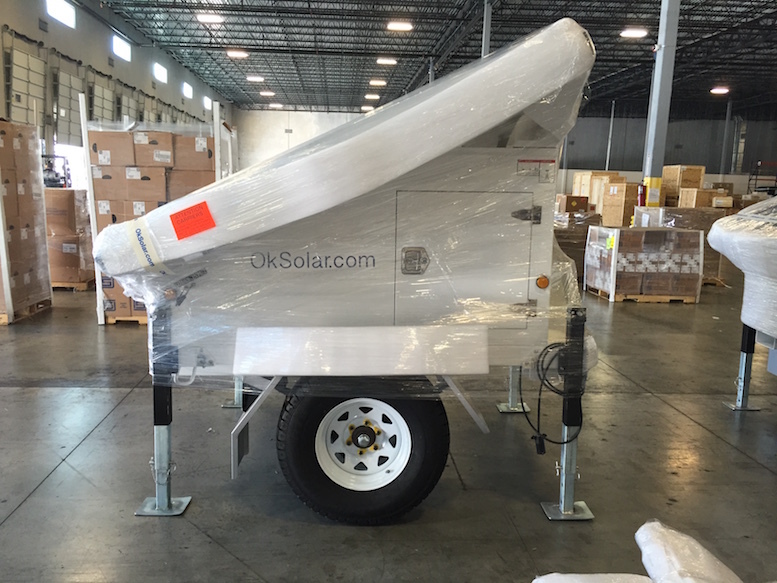 OkSolar True Plug and Play System, Our Systems are Full compatible. 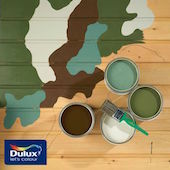 Paint Coat Package to the Enclosure. Helicopter Handling Lifting Hooks, Our Systems are fork-lift compatible. 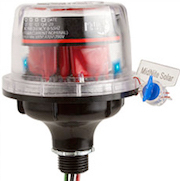 Solar Surge Protective Device Lighting Arrestor.